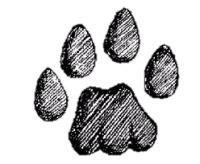 Helping cats & livestock farmers! Occasionally, a carnivore will come to rely on livestock predation for its livelihood (usually due to inexperience or injury), and farmers need to remove such animals as they can cost tremendous financial losses. 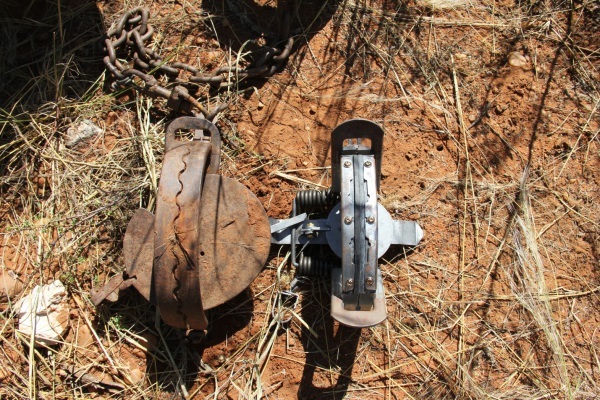 In Namibia, many farmers use old fashioned steel jaw or gin traps to catch problem animals such as jackals and caracals that depredate livestock. In the process of trying to capture the problem animal, dozens of species are captured incidentally including antelope, aardwolf, wildcats, bat-eared fox, genets, and even raptors. 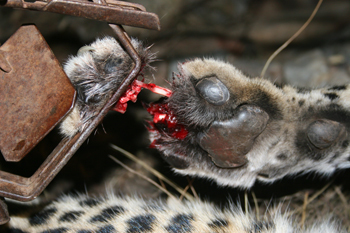 These animals are often so badly injured from the trap that they must be killed. A new padded leg hold trap is available that can capture animals without harming them. Our goal is to phase out steel jaw traps and transition to the use of these humane padded traps. Padded traps allow non-target animals to be released unharmed back into the wild. Problem animals can be assessed and ideally relocated to areas where they cannot come into conflict with livestock. For only $40.00, you can sponsor the removal of one steel jaw trap and replace it with a padded leg-hold trap. Please act today and save countless animals from an unnecessary and agonizing death! 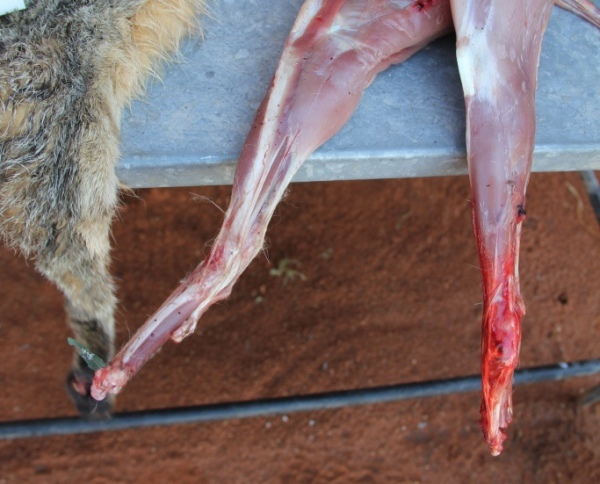 The injuries on this African wildcat’s left leg from the steel jaw trap included multiple broken bones, torn ligaments, bleeding, and swelling (note the amount of hemorrhaging and swelling compared to his other leg). This cat was killed due to his injuries. The first caracal below lost one toe on her front left foot and two toes on her front right foot from a steel jaw trap. The next caracal lost two toes on his front left foot from another steel jaw trap. Fortunately, we were able to rehabilitate both cats and eventually released them back into the wild. After their agonizing recovery we are happy to report that both cats were still able to successfully hunt natural prey.